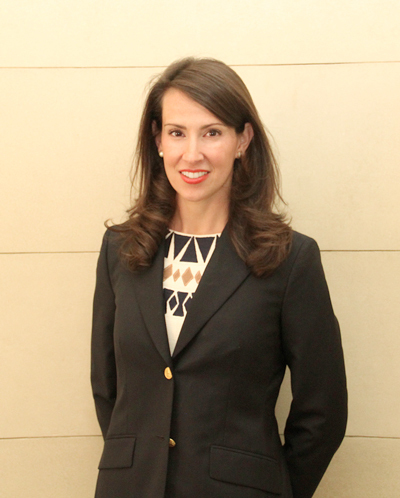 Natalie Jones joined Meridian International Center as Senior Vice President for External Affairs in June 2017 after most recently serving as Deputy Chief of Protocol of the United States. Throughout her tenure at the U.S. Department of State, Natalie worked with over 100 foreign governments and delegations on their visits to the United States and traveled with the President, Vice President and Secretary of State to advise on protocol and logistical considerations of overseas trips. In her role, she led large teams to plan and execute high-level international summits (including the 2012 NATO Summit, 2014 U.S.-Africa Leaders Summit, 2015 U.S.-GCC Summit and the 2016 Nuclear Security Summit), state visits and diplomatic events and served as a central interlocutor between foreign governments, the U.S. Department of State and White House throughout the complex planning process. In addition to her management and operational experience, Natalie cultivated a network of relationships in the diplomatic community by building a series of public-private partnership programs to promote engagement between leaders in the government, business and cultural sectors and the foreign diplomatic corps. Before being promoted to Deputy Chief of Protocol in July 2011, she served as Assistant Chief of Protocol for Ceremonials from April 2009 – July 2011 where she oversaw the planning of all official and ceremonial events hosted by the Secretary of State. Natalie joined the U.S Department of State with six years of fundraising and development experience. She raised millions of dollars for political candidates and organizations including the Democratic National Committee (2008, 2004), Secretary Hillary Clinton (2007-2008) and Senator Evan Bayh (2004-2006). Throughout those six years, Natalie developed relationships with philanthropists and business leaders that she still maintains today. Natalie graduated with a bachelor’s degree in political science from Emory University in Atlanta, GA and lives in Washington, D.C. with her husband, Patrick Hallahan and their 2 year old girl, Eleanor.